Art is a medium ripe for the exploration of life’s complexities, such as racism, and the varying perspectives on such issues. Collaboraction Theatre Company, a 21-year-old nonprofit based in Wicker Park, understands the importance of using art to cultivate dialogues around difficult topics. So the company curated Encounter – a series of plays and visual art centered around race and healing in Chicago. After a two-week run as a winter festival, Encounter now is touring the Chicago Park District circuit. On Saturday, Encounter will make a stop at La Follette Park (1333 N. Laramie Ave) on Chicago’s West Side. 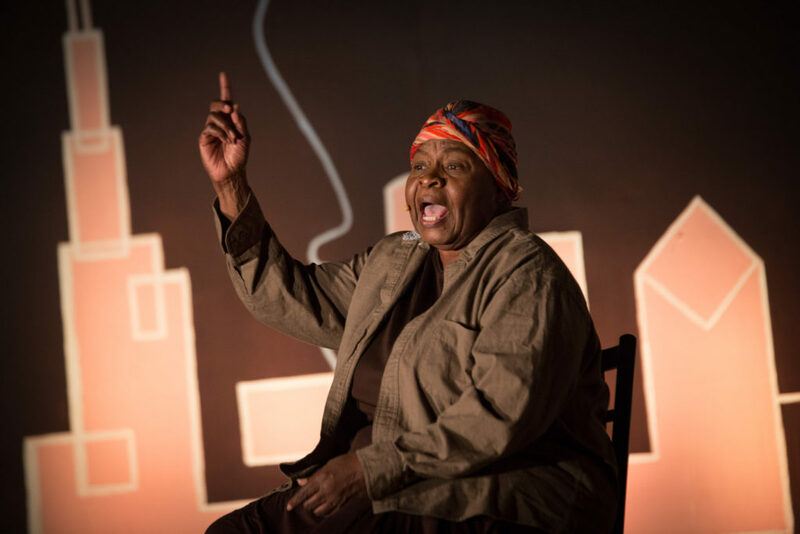 Beginning at 3 PM, the free event will feature six productions: including “Dese Shoes,” a poem by Loretta Hawkins in which Harriet Tubman returns from heaven to offer guidance to her people, and “Racism 101,” a documentary film featuring Chicagoans and their first experiences with racism. 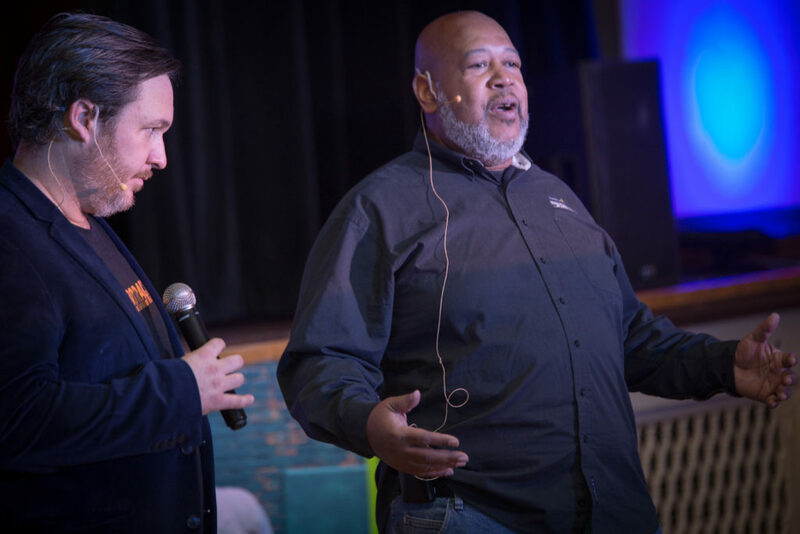 After the 70-minute lineup, Collaboraction’s Anthony Moseley and Marcus Robinson, the artistic director and managing director respectively, will lead a 25-minute town hall discussion on healing in Chicago. We caught up with Moseley and Robinson to learn more about Encounter. The TRiiBE: Why La Follette Park? Why should the Austin neighborhood come see Encounter? AM: Yes, exactly. There is a little pep in their step. It is a little bit more pride in their chest. People are connecting from this shared experience in ways that are just beautiful. TT: Is Collaboraction Theatre Company a Black-owned organization? Marcus Robinson: The Collaboraction Theatre is a nonprofit. So no one owns it, per se. However, the board is more than 60 percent African-American. [The board is] responsible for the organization. Top management is majority African American, Asian and white. People of color are included in our shows. No one is left out. TT: How many of the actors and actresses for Encounter are Black and from Chicago? AM: For the Encounter tour, our cast is very diverse but majority Black. For [Saturday’s show], we have plenty of Chicagoans. Loretta Hawkins is a Chicago treasure. She is the author of the poem, “Dese Shoes,” which she performs as Harriet Tubman. Then we have Dana N. Anderson [who wrote] “Soul in Suburbia,” a play about a Black girl growing up in the Northwest suburbs of Chicago. We also have Jharmaine Boyd who wrote a play, “The Blue Eyed Devil,” about a Chicago 1940s interracial couple. All of the selections in Encounter cover racism in Chicago and how we respond to that. TT: Each show is followed by a town hall. Who facilitates the town hall and what is the goal? MR: The town hall is co-facilitated by Anthony and I. The town hall is a great way for people to reflect on all of their thoughts [and] ideas that came to them. The goal is for audience members to find a way to activate their power to heal our communities. TT: And there will be free food, you say? AM: Yes. Macaroni and cheese, fruit salad and other food brought to you by the delicious restaurant, Son of a Butcher by Whisk.